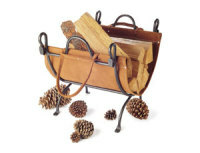 for your patio, grilling and hearth accessory needs. The most versatile cooking device ever, the Big Green Egg has more capabilities than all other conventional outdoor cookers combined. From appetizers to entrees to desserts it will exceed your expectations! KE Durasol Awnings produces world-class motorized patio awnings and motorized window awnings that add lasting value to homes and businesses. Available in a wide variety of styles, sizes and colors. We carry the Inspired Visions Exclusive Peak Season Collection of indoor/outdoor furniture and accessories. Their exceptional design, durability and superior comfort are unmatched, with a wide variety of options available. Since 2006, Green Barrel, Inc. has been designing modern furniture and accessories out of rustic retired wine barrels. Their one-of-a-kind fire pits are a timeless addition to your patio or outdoor seating area. Repurpose + Reuse = Cheers! Pilgrim is North America's premier producer of quality, hand-crafted hearth accessories including fireplace screens, tool sets, wood holders, hearth rugs, grates and other fireplace accessories. Custom made fire screens are available. Producing heirloom-quality products from cast iron, forged steel, stainless steel and aluminum, including an eye-catching collection of steamers and trivets to add moisture and beauty during the heating season. 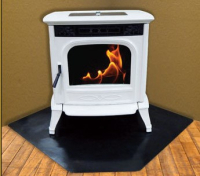 AJ Hearth Originals offers stone and tile hearth pads which are hand crafted to provide the ideal foundation for your free standing stove. Kidco is the lead manufacturer of safety fencing and gates for hearth products - keeping your children and pets safe from the hot surfaces associated with heating your home. Every Thermo-Rite product, without exception, is made in the U.S.A. Since 1942, the name Thermo-Rite has stood for elegance, quality and superior craftsmanship in glass fireplace enclosures, standard and custom made to order. Ember King manufacturers the strongest, most durable floor protection to compliment traditional or contemporary stoves and fireplace inserts. Constructed of 10 gauge plate steel with scratch-resistant polyester powder coating in a variety of textured colors. 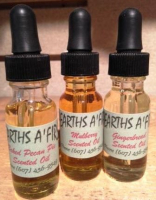 Hearths A'Fire mixes and bottles it's own line of custom, oil-based scents to add to your stove steamer or to a pottery base, adding seasonal ambiance to any home. See our list of scents available in 1 oz. bottles with dropper. 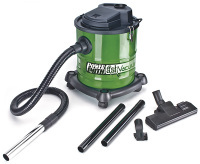 Powersmith Ash Vacuums are designed to clean warm (up to 140 degrees) and cool ashes from fireplaces, woods stoves, pellet stoves and barbecue grills. They feature a washable, replaceable heat-resistant filter system to trap the finest dust and ash. 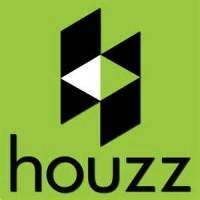 Rutland is a well-known name in the hearth products industry. 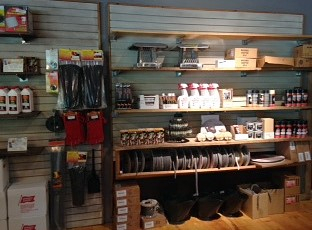 They offer an extensive line of stove care products and accessories to meet any need you may have. We offer a selection of heart rugs from Goods of the Woods. They also have scented fire starters and magical color cones available for ordering. Minuteman supplies a variety of hearth products including bellows, hearth tools, cast iron pipe dampers, pellet/coal scuttles, ash buckets wood baskets, gloves and hearth rugs, to name a few. 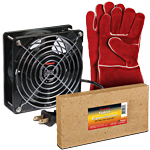 Imperial manufactures stove supplies and related accessories such as gloves, cleaners, fans and accessories such as bellows. Stove Bright high-temp paints are available in a variety of colors and finishes to match your stove or to touch up your chimney venting, The most popular colors are stocked right in our showroom. Sky Tech offers a full line of wireless control systems that can be installed on any thermostat capable pellet or gas unit/appliance. 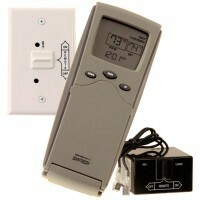 Ecofan is a line of fans that work by the heat produced from your stove. Place the fan on top of the stove and the rising heat will cause the fan to work, pushing heat out into the room without the cost of electricity.